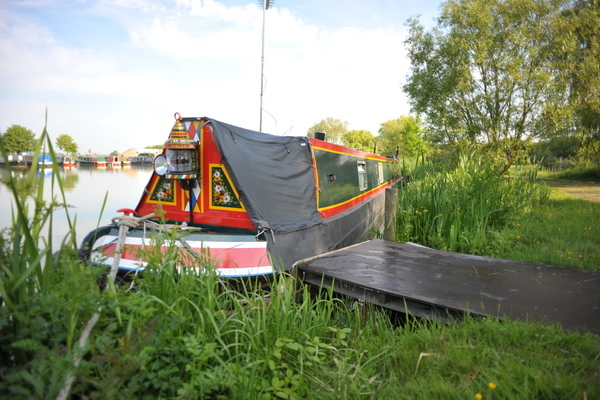 Calcutt Boats offer peaceful moorings in the heart of the country. The Locks Marina was opened in 1988 and covers approximately 4.5 acres, with moorings for a maximum of 100 narrowboats (room to water-ski – but please don’t!). Fully fendered piers of varying lengths are generously spaced so that each berth can be vacated without the need to move other boats. In 2006 the Meadows Marina opened with room for 140 more boats. Roger and Rosemary Preen opened Calcutt Boats for business in 1973 offering fibreglass cruisers with outboard motors for hire. At the time, the business had no road access and very little in the way of facilities for their hirers. Thirty seven years later the business is very different. The willow and birch lined drive swings left to the slipway and two marinas and straight ahead to reception, engineering workshop, wharf and hire fleet. Reception has a small chandlery and a summer only curiosity shop. The wharf provides diesel, gas, coal and pump out services for moorers and passing boat on the Grand Union canal. There is also an Elsan disposal point and a British Waterways water point above the lock. The area around the wharf is a little untidy. There is a paint tent at one end that has seen better days and behind it a hill thick with nettles. The paint tent is soon to be refurbished and extended though and the hill is soon to be cleared of weeds and planted with wildflowers. Behind the wharf are a range of storage buildings and sheds and the engineering workshop where there are a number of old engines and engine parts in full view. There is also a dilapidated vintage bus that doesn’t really belong in the wharf area. Behind the engineering workshop is the oldest of the two narrowboat berth areas on site, the Locks Marina. The Locks marina has spacious individual pontoon moorings for 120 boats set in four and a half acres and access to the slipway and Grand Union canal. The left hand branch of the road from the main entrance passes the woodshedworkshop, paint tent and slipway before passing the south side of the Locks marina. Here there is the toilet block complete with laundry facilities, and a further pump out station and Elsan disposal point. 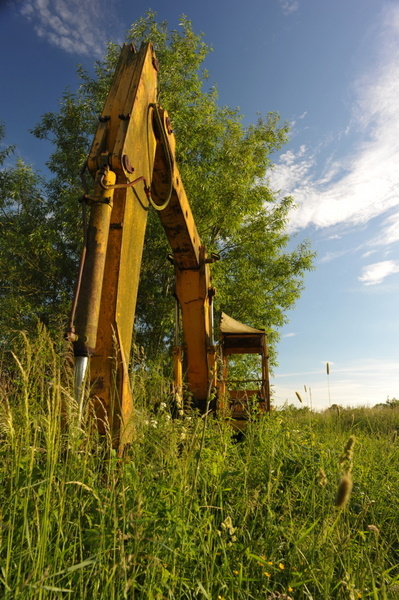 Given that there has been so much thought and effort put into the landscaping of the site, the presence of three or four old and rusting JCBs plus a collection of smaller working plant next to the road and the main car park spoils the scenery a little. There are plans to move or remove the plant and screen the area more effectively though. 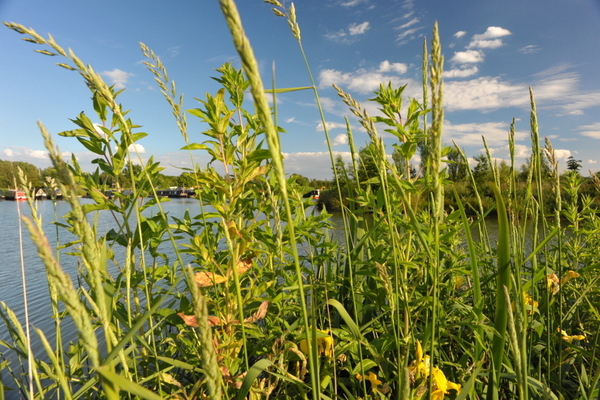 The road then winds around the steep grassed banks of the newish Meadows Marina opened in 2006 and is now home to a further 140 boats. The Meadows marina is even more spacious than the Locks marina. There is a landscaped island at its centre which is very popular with some of the sites many ducks, geese and swans. Just over 7,700 trees were planted in 1995 to create two woodland areas. The thirty one species of trees and shrubs are now crossed with a network of footpaths much used by moorers and their dogs. The business used to provide an on-site WiFi network but it wasn’t very effective. Moorers now rely on USB dongles for internet access. The 3 network service is quite effective around the marina. Mobile telephone signals are weak but are available. The business provides tranquil moorings well away from noisy roads and railway lines in beautiful countryside and at a convenient point to access the canal network to the north and the south. 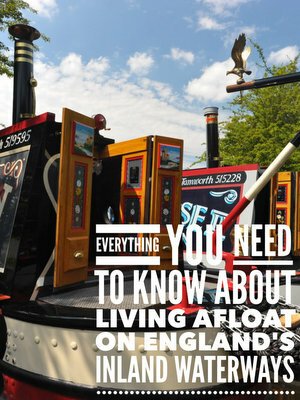 Once the old machinery – and the bus – have been removed, Calcutt Boats will have a truly beautiful site.